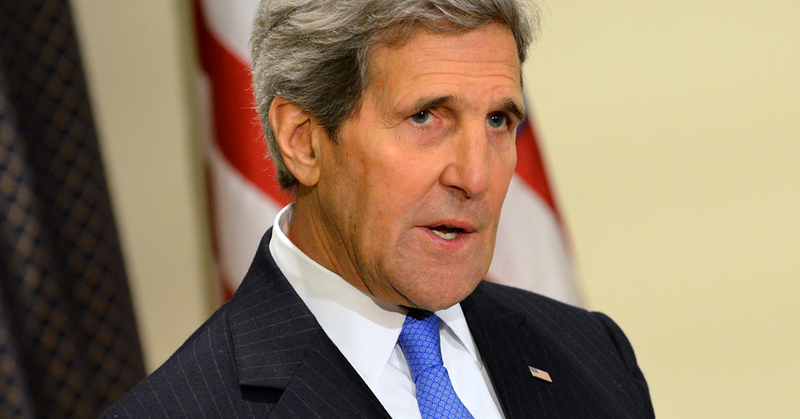 Conservative media were quick to claim former Secretary of State John Kerry is violating the Logan Act following a Boston Globe report that he is working to save the Iran nuclear deal by meeting with top officials from Iran, Germany, and France. But according to a legal expert, the Logan Act, which prohibits private citizens from engaging in unauthorized intervention in U.S./foreign disputes to "defeat the measures of the United States," wouldn't apply in part because the deal is still current U.S. policy. The May 4 Globe story  reported that Kerry has met twice with Iranian Foreign Minister Javad Zarif and French President Emmanuel Macron, has met German President Frank-Walter Steinmeier, and has talked on the phone with a top European Union official as he seeks to preserve the nuclear deal. America’s European allies are also urging Trump  not to end the pact, as he has threatened to do. Brookings Institution foreign policy expert Michael O’Hanlon told the Globe that “former secretaries of state often remain quite engaged with foreign leaders, as they should,” but that “it’s rarely so issue-specific.” According to the Globe’s report, Kerry is working with both former Secretary of Energy Ernest Moniz, who along with Kerry helped negotiate the nuclear deal, and a group called Diplomacy Works. They are also lobbying Congress to support the deal and arguing the case in media outlets.